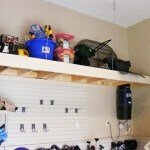 Are you thinking of getting rid of all the clutter of things in your garage? Maybe, you’re thinking that you’d finally like to park both your vehicles in the garage this winter. You’re thinking of re-organizing your garage storage items so you’ve taken the first steps to declutter. Now, you have a pile of stuff which is ready for a garage sale. Next you’re thinking how to get everything sold by the end of the garage sale day. So, it’s time to figure out how to make the garage sale as successful as possible. It’s time to get the whole family involved and get everyone connected with the process. Not only is it a great learning experience for young ones to gain some business experience but they’ll be more involved in the process of letting go of things. Let’s take a look at some key things to discuss as a family for how to make your garage sale or yard sale a success. One of the best ways to increase the success of your garage sale is to do it as a street sale by involving as many neighbours as possible. When you’re attracting people to a street with multiple garage sales, there will be a lot more attraction for the bargain hunters to come out and do some hunting when they know that they can view several lots worth of garage sale items. Also, it’s a great way to build up some community spirit on your street while getting to know your neighbours better. 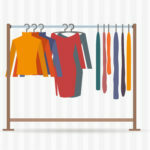 In addition, pooling resources makes the work of preparing for the garage sale a little easier overall. Also, invite family and friends of the family to participate so there are plenty of people to service bargain hunters with a purchase or making change for them. Let younger family members run a small lemonade stand and bake sale for hungry bargain hunters. Enhance the atmosphere with music which will boost the mood of everyone there looking around for a deal. Having a few extra people around means that someone can look after the music if there is a rush of people. It’s best to have a rain date so if things go sideways on the planned garage sale date, then everyone is already agreed on the rain date and it’s a no brainer to run it on the rain date. It can also be part of the advertising. Start the garage sale earlier so that people can attend the sale without interrupting the rest of their day. A garage sale that runs 8:00am until 1:00pm will do better than one that starts in the afternoon. Be prepared for avid garage sale shoppers to arrive earlier than the hours set for the garage sale. Also, if you choose a summer morning, then it will be cooler and more comfortable in the morning. Comfortable temperatures are important to people attending and buying more. For the best temperatures, it is best to hold a garage sale in late spring and early fall. So, late September is a great time to hold a garage sale as much as late April or early May. Saturday morning is the better day for the garage sale. People seem to enjoy starting their weekend with a fun bargain hunting excursion on a Saturday morning while leaving Sunday to catch up and complete all those things they intended to complete over the weekend. Also, this allows people to make Sunday the rain date. One common suggestion is to call it a “yard” sale as opposed to a garage sale. It’s been said that people feel that a yard sale sounds a little more upscale than a garage sale. This may help more in some neighbourhoods than others. For local neighbourhood signs, use large 3 foot square cardboard signs with very large easy to read letters so people driving along in vehicles can quickly read and follow your signs. There should be about 20 – 30 signs attracting drivers from all directions towards your street. Start advertising early so there is time for people to plan to attend your yard sale. Place price tags on everything so there is a starting price for everything. Bargain hunters enjoy the interaction with other people when purchasing something. These buyers also enjoy the haggling process so be prepared. 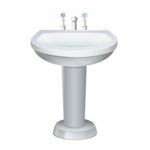 Arrange sale items into groups of items or by price range on different tables where you have many smaller items. Label everything and make it easy for people to walk around and view everything just like any retail space. Display things in a fun way and to frame things so they are more appealing. Have some chairs for people to sit and rest including a chair for yourself. Your chair should face the road and allow you to stand up and greet any visitors to your yard or driveway. Prepare to make change for people. And, if you anticipate people using larger bills, it’s possible to get a counterfeit detector from Staples or Walmart to scan any bills which you suspect. Work with neighbours to keep it fun and lively while having enough hands to look after all the small things which will make the day memorable and a success. 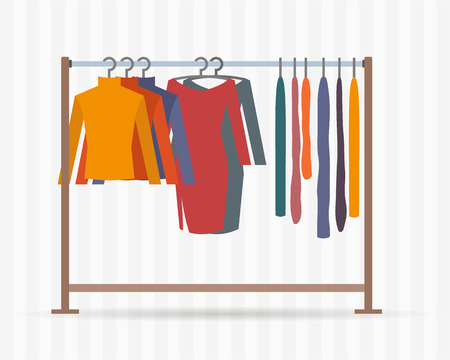 Anything that’s left over at the end of the day, you can either post online as a classified ad, donate to a charity or drop off with a local Value Village or other second hand shop. A yard sale helps everyone declutter leaving only the stuff we actually use regularly. It’s a healthy start before any garage renovation project. 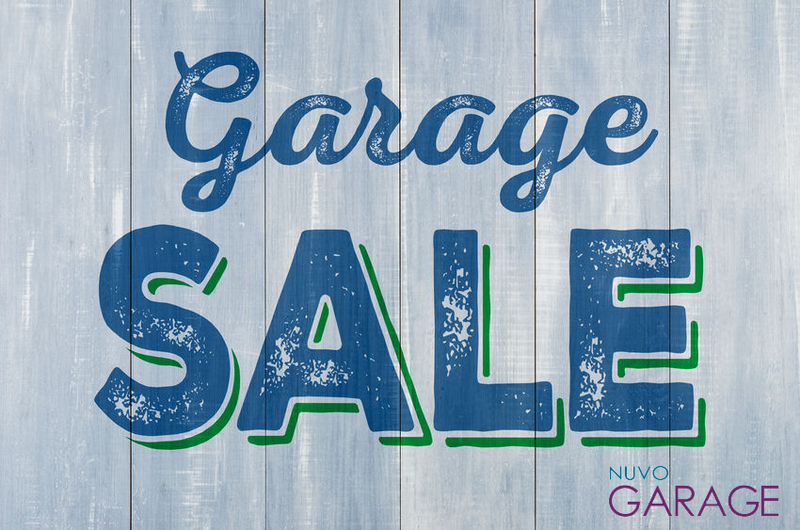 Now that you’ve run a garage sale to look after the discard pile, it’s time to look at how to manage and organize the garage to store the things that needs a place in the garage so people can access and use it. In our next blog, we’ll review how to use the space in the garage to store the remaining items so they remain safe but also easily accessible while leaving space for the vehicles to park inside the garage. August 11th 2018 was National Garage Sale Day. All of us can benefit from a garage sale from time to time. And, it’s a great way to spend time with your growing family and the lifestyle changes that occur as children grow out of old toys or as new sports or other hobbies enter our lives. It’s not just the garage sale but the process which can be a great learning experience for everyone in the house. The day of the garage sale is a good way to connect with neighbours and friends from the neighbourhood. In fact, they often say that getting together with a few other families to plan a garage sale is a great way to be more successful. And, while the National Garage Sale Day occurs in August each year, any of the warm days from about April to October can be a good day. A garage sale allows us to let go of things and manage our garage storage whether we’re looking to have a garage renovation done shortly or we’re looking to make the most of our existing garage storage options. Decluttering and organizing has great psychological benefits for us and our family members. It’s a great learning experience for younger members in many ways. There is a lot of decision making involved with decluttering because we are working with limited garage storage space while we may have a growing selection of things we believe we want to store. So, we need to make decisions as to which things to get rid of and which things might need to be stored elsewhere. This task allows our children as well as ourselves to gain a sense of competence or confidence that we are able to do things well. Also, it gets everyone moving and active while accomplishing tasks so there is a lot of satisfaction about completing things. Also, we know that we feel relief as well as reduced anxiety from being organized. Order and symmetry has been known to do this for us psychologically or as witnessed from people with OCD who feel temporary relief immediately after organizing something. 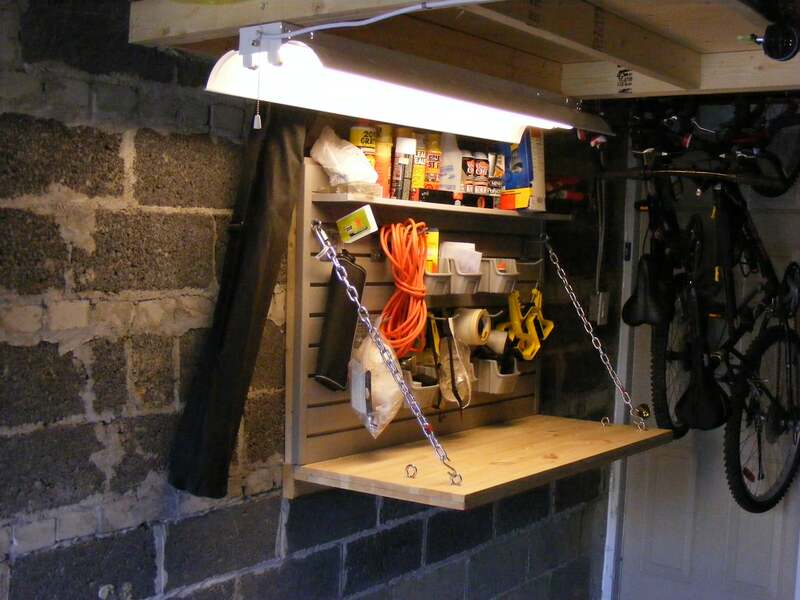 If you don’t yet have a garage storage system, the first step is to empty the garage. This first step alone lifts our spirits. It is the first step to getting us motivated and inspired about the space. 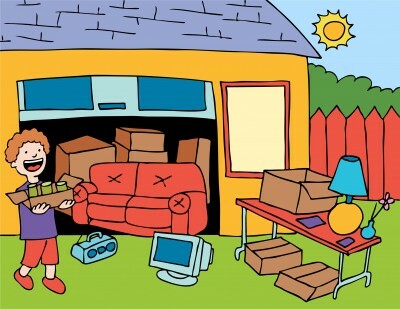 When the garage is just full of stuff, we just don’t want to look at it so some of us just keep ignoring the problem because it’s unpleasant to keep looking at our own clutter. Creating piles is now the next step to your final garage organization masterpiece. Start by creating 2 piles. One pile will be the stuff that you want to store in the garage. The other pile will be the discard pile or the pile for the garage sale. If your garage is already organized into a garage storage system, you may only need to create the pile of items to be discarded. These might be toys and sports equipment which the kids have outgrown. It may also be duplicate items such as an additional weed trimmer tool. And, add any other categories of items which might be a part of your lifestyle. Organize these groupings of storage items onto the floor of your garage. 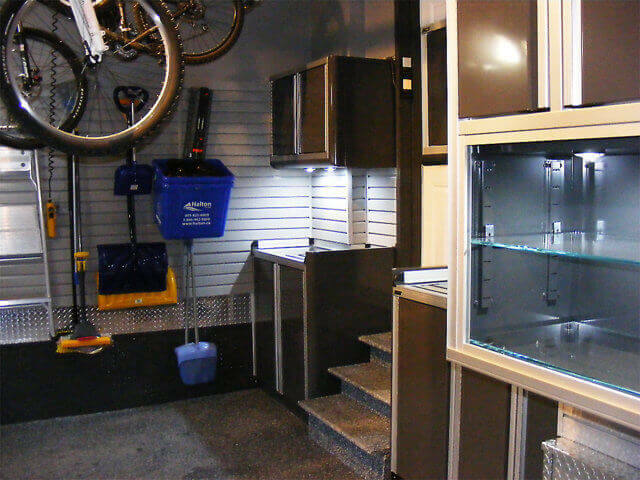 Now, it’s time to call in a garage renovation specialist to help you design and implement a made-to-measure garage organization and storage system. Or, if you’re looking for a DIY solution, it’s time to visit the big box stores for supplies to build and mount your systems inside the garage. Meanwhile, it’s time to run a garage sale to find new owners for all the items in the discard pile. It will be quite a relief when all the things you want to get rid of are finally out of your home. There are some keys to getting the garage sale to become a success and an event which is full of people visiting your sale. If you follow a few steps, you’ll be able to elevate the success of this event and have a little more fun running the event with your family and neighbours. We’ll continue next month with a blog on how to put on a successful garage sale. In the meantime, if you’re looking to hire a garage renovation specialist, please contact us for a complimentary in-home consultation. The garage is one of the most neglected spaces in our homes. 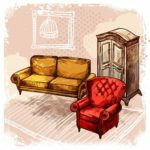 Over time, it often becomes the family dumping ground from everything to broken furniture and outgrown toys to sports equipment and holiday decorations. Couple our tendency to stockpile items in the garage with our aversion to cleaning the garage, and you have a recipe for chaos as our growing pile of stuff gets out of control. Garage clutter isn’t just an aesthetic problem or even a mere inconvenience that forces us to spend time searching for misplaced objects—like a garden trowel or someone’s lucky baseball. It also poses a health hazard. Improperly store baseball bats, hockey sticks and garden implements pose a serious tripping hazard. Clothing and newspapers stored openly in the garage attract mice and other vermin by providing nesting material. Chemicals stored in the garage pose a poisoning hazard to animals and small children. Improperly stored flammable liquids pose a fire hazard. As garage clutter grows, it becomes harder for the garage to fulfill its intended use—a safe haven for your vehicles from the harsh summer sun, frigid winter temperatures and all of the precipitation that falls in between. 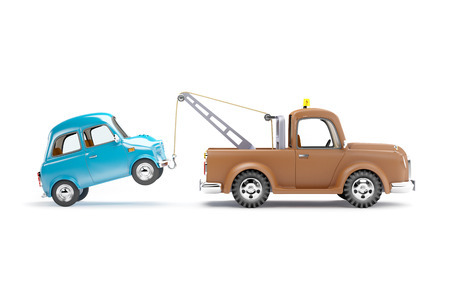 If you’re like many families, perhaps you’ve surrendered to garage clutter, opting to park your vehicles outside. If so, don’t despair. Instead, get ready to take back your garage in five simple steps on Clean Out Your Garage Day—the Saturday following Labour Day. No one wants to spend the entire day knee deep in clutter, so we put off cleaning the garage. However, when we approach the task with a plan, the job becomes easier and we can tackle it efficiently. Take time to assess your priorities. What is most important to you when it comes to your garage? Reclaiming parking space for your vehicles? Creating a workshop for a hobby or small business? Securing storage space for sports equipment? Or perhaps you require all three. Start by mapping out the space to determine what you can fit inside the garage and where everything should go. 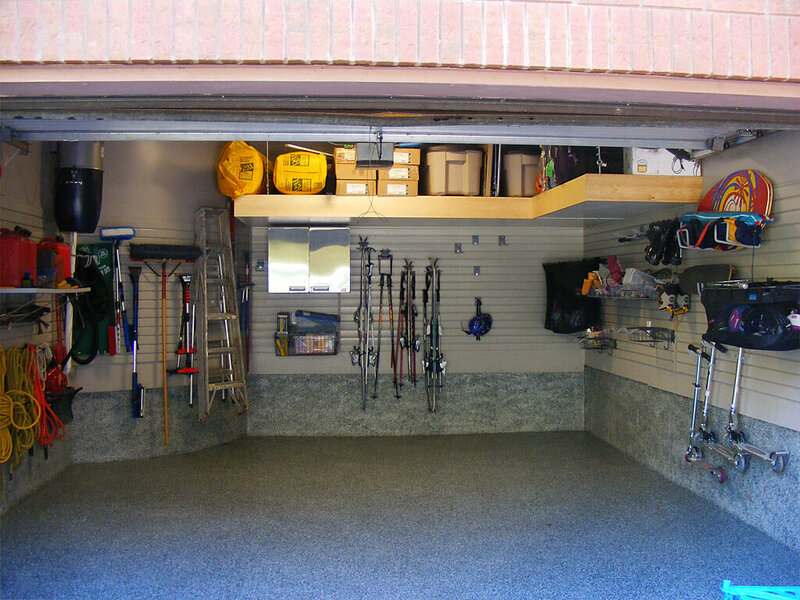 As you lay out your plan for the garage, group like items to create task-specific zones in your garage. For instance, group yard tools together in a gardening and lawn care zone. Group motor fluids and other car care accessories in an automotive care zone. Store sports equipment together in a sporting goods zone. Establishing zones is the first step to creating order in your garage. Grouping like items together makes locating items quicker and simpler—saving you valuable time on each project. However, without an orderly way to store those items, the space will quickly descend into chaos again, making it difficult to find space to park your vehicles. Instead of using valuable floor space, store items vertically and overhead whenever possible. 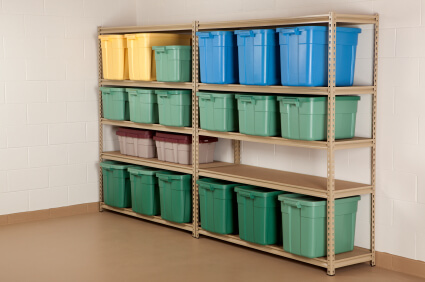 A garage wall organization system like Slatwall provides vertical storage for a wide variety of items through the use of integrated baskets, hooks and shelves. You can purchase and install a vertical wall organization system or enlist a professional garage renovation expert to install the system for you. Reduce the amount of individual time and effort required to get the job done by making the cleaning of your garage a fun, family project. By involving every member of the family in the project, each person becomes more invested in keeping the garage clean. Another option? Invite a few friends over, fire up the grill and transform the task of cleaning out your garage into a fun and productive day with friends. When your garage is overflowing with clutter, the best way to approach the situation is to start with a clean slate. That means emptying the garage of all its content. While this might seem tedious, it’s the best way to take inventory of what is stored in your garage. Knowing exactly what you have in your garage is critical to the next step in the process. 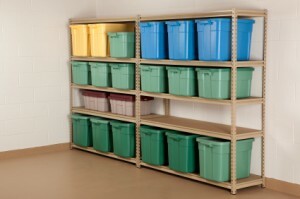 If you haven’t already installed your vertical wall storage system, now is the time to do so. Once your Slatwall, baskets, hook and shelves (or alternate vertical wall storage system) is in place, you are ready to proceed to the next step. This compound step is the most important task in the process. While it may seem daunting, it can more easily be described with one word: PURGE. By emptying your garage in the previous step, you can now see exactly what you’re working with. Group like items together to easily identify duplicates of tools and sports equipment. Discard broken toys and furniture. Properly dispose of old household chemicals. Donate gently-used items your family no longer needs like old toys and shoes. Gift a friend or neighbor your duplicate yard tools or sports equipment. Once you’re pared the contents of your garage down to the items you plan to keep, designate a storage space for each remaining item. Return each item to the appropriate task-related garage zone, as identified in step two. Using the complementary hooks, baskets, shelves of the wall organization system and professionally-installed overhead storage, place each item in a designated spot. Voilà! You now have an organized garage. To maintain your newly organized space, simply return each item to its designated spot. Still on the fence about whether it’s worth it to spend a weekend cleaning out the garage? Consider this: a disorganized garage detracts from the aesthetics of your home and creates unsafe conditions for your family. It can also cost you time and money. Searching through garage clutter to find items steals valuable time. 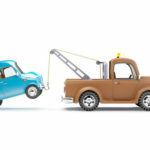 When garage clutter forces you to park outside, the harsh elements can damage the body of your vehicle and its internal systems, costing you money. Cleaning the garage might seem like an overwhelming task, but it is one that will pay off handsomely. 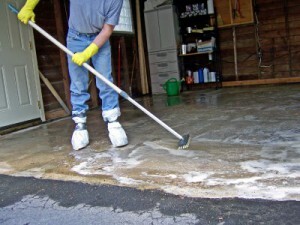 To streamline the process, tackle the early stages of cleaning your garage prior to the cleanout date. 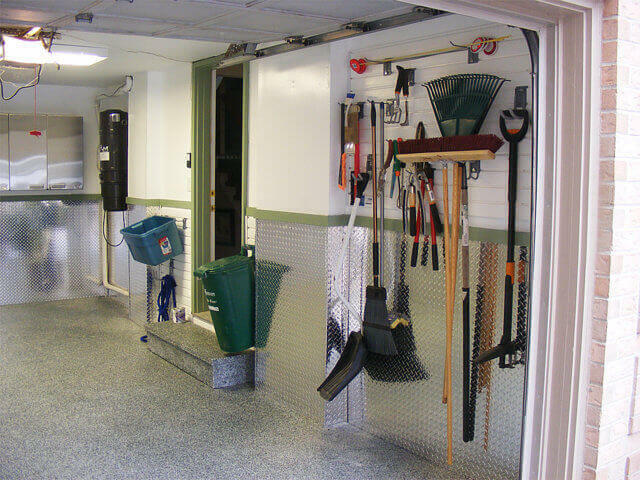 Plan the layout of your garage, incorporating task-related zones. Purchase and install a scalable wall organization system that includes complementary storage accessories like baskets, shelves and hooks or hire a professional garage renovation expert to install it for you. Enlist family or friends to help on the big clean out day. Completely empty your garage. Discard broken or outdated items. Donate gently-used items you no longer need. Designate a permanent storage space for each item within the appropriate zone and return items to their space. If the project still feels too daunting, consult with a professional garage renovation expert for help transforming your garage into an organized, multi-use storage space. Healthy living requires an active lifestyle. For many, competitive sports are the key to staying fit. Sports and other recreational pastimes provide much-needed exercise, boost mental acuity, foster a healthy sense of competition and bring busy families together. Whether your family enjoys bicycling, hockey, golf, softball or soccer, you likely have a large collection of sporting equipment which poses a storage dilemma. 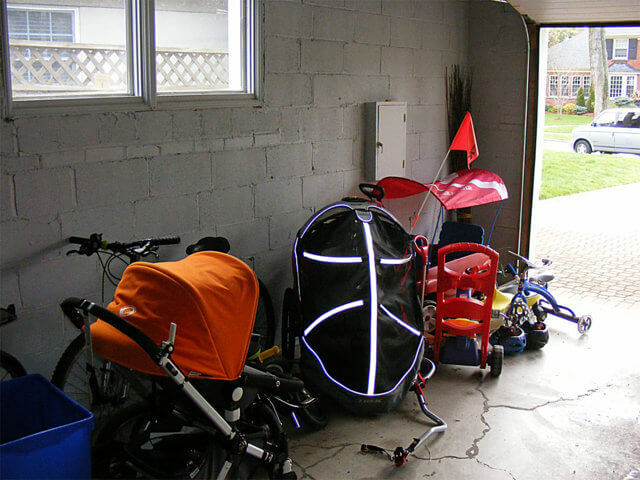 For many families, the garage becomes the dumping ground for the family’s sports equipment. Basketballs, soccer balls and softballs roll around the garage. Bikes are dropped in the driveway or in the middle of the garage, getting run over or blocking access to the garage. Car doors get scratched or dented as little ones attempt to retrieve riding toys or as older children try to maneuver scooters and bikes through the garage. Bats, hockey sticks, skateboards and bicycles create a tripping hazard. 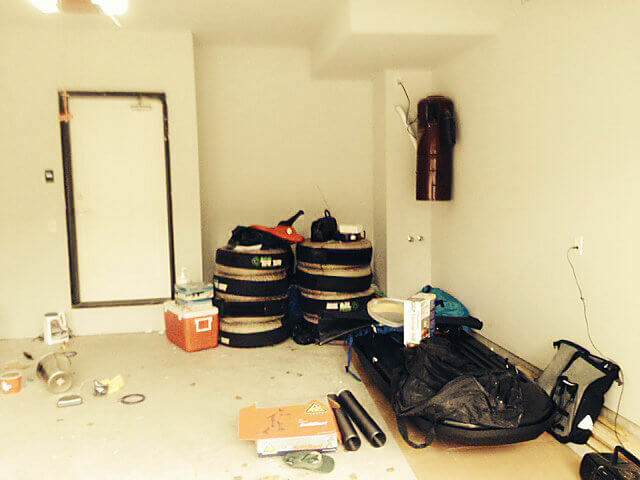 A garage cluttered with sporting goods is more than just an eyesore or an inconvenience. It can cause expensive damage to vehicles or dangerous injuries due to a fall. However, you can organize sports equipment in your garage in just three easy steps. The first step is the hardest. Begin by cleaning out your garage. To create organization from chaos, start with a clean slate. As you remove items from your garage, use this time to purge. Donate or give away outdated or unused items. This includes items your children have outgrown or no longer use. Junk broken furniture, toys and sports equipment. Get rid of unnecessary duplicates. This leaves less to store. Cleaning the garage may seem like an overwhelming task. However, it’s an ideal weekend project that goes quicker with a few helping hands. If the children help, they’ll have more of a stake in keeping the newly organized space clean. 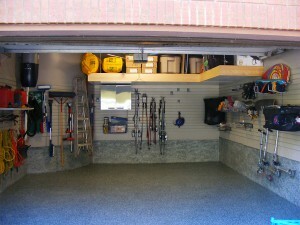 Before returning everything to your garage, create a layout for storage. Establish task-specific storage zones. Create zones for sports equipment, automotive products, gardening supplies, garbage and recycling tools, etc. Consider the space required to store items from each zone. Leave enough clearance for bicycles and the lawn mower when vehicles are parked inside the garage. Place each zone in the area most convenient for performing related tasks. 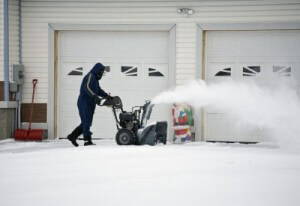 For instance, in winter, shovels and salt should be placed near the garage door. Now that you have a clear idea of where everything should go, it’s time to create an organized system for storing sports equipment and other items. It may seem impossible to get kids to cooperate when it comes to organizing the sports equipment and putting it away neatly. However, once a simple, consistent organization system is in place, it’s easier for everyone—including kids—to put their things away. The key is creating a designated spot for everything. There are a variety of organization systems available from peg board to storage bins and other DIY options. In an unfinished garage, the studs can provide a place to store hockey sticks, baseball bats and other sports equipment. These options may be ideal for storing some things, but abysmal for storing others. 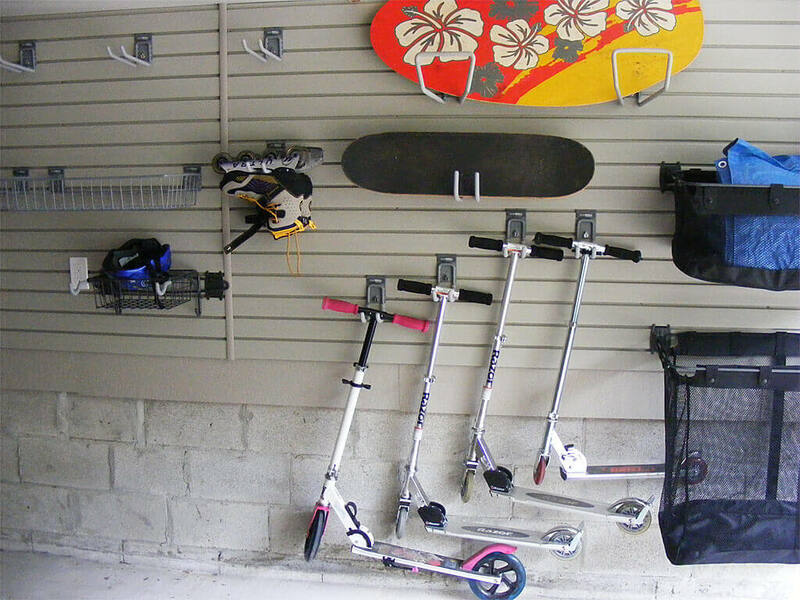 For unlimited flexibility and a more polished look while keeping items easily accessible, a garage wall organization system can’t be beat. Slatwall consists of 1’X8’ PVC panels that are waterproof and mold resistant. The panels are slotted, for use with complementary hooks, baskets and shelves. Each panel is secured to the wall studs. The system is scalable, so start with one or two panels or opt for floor to ceiling installation. It’s up to you. The real magic of this system is its flexibility. The slots accommodate countless storage configurations. Hang baskets for storing softballs or soccer balls. 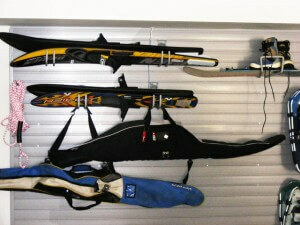 Install hooks for hanging sports bags or uniforms. Mount a shelf to hold cleats or helmets. If you’re a multisport family, and space allows, create sections for each sport or family member. When the season changes, it’s easy to rearrange the configuration to accommodate a different sport. Specialty hooks or shelves can be used to store bicycles, skateboards, skis and more. 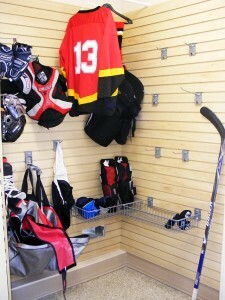 A wall organization system is ideal for storing sports equipment. However, the corresponding baskets, hooks and shelves make it ideal for storing everything from gardening tools and lawn chemicals to automotive fluids and household chemicals. Once your wall organization system is installed, simply store each item you’ve elected to keep in a designated spot within its respective zone. Sports equipment is essential for active families. Finding a way to keep it all organized can be an ongoing challenge. A wall organization system, with its sturdy, slotted wall panels and wide array of corresponding storage accessories, creates an organizational foundation on which you can build to meet the needs of your family’s busy lifestyle. 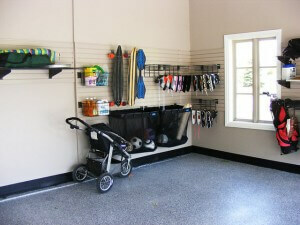 This flexible organization system makes it easy to keep the family’s sports equipment organized in the garage. Ready to organize your sports equipment in three easy steps? Request a consultation today. With the holiday season in full swing, you’re likely in the midst of decorating. Perhaps you’re dealing with the frustration of not being able to locate the wreath or tree topper. Once you locate your favorite box of ornaments, you may discover chipped or broken items. Then there is the battle with tangled strings of lights and trying to remember which string of lights goes where. Eliminate the additional stress next year by considering how and where you’ll store your holiday decorations once this season is over. Simplify the process with the proper tools and a little preplanning. Clear, stackable plastic bins are invaluable for storing decorations. They come in a variety of sizes and configurations—from small shoebox bins to large totes big enough to accommodate an artificial tree. Specialized containers, which make storing wreaths, ornaments and other items a breeze, are also available.Here are a few ways to ensure that your ornaments are stored safely. Fragile Christmas ornaments can be tricky to store. Purchase a plastic bin divided into compartments large enough to accommodate each ornament, or invest in a container made specifically for holding holiday ornaments. Use bubble wrap to protect fragile decorations with irregular shapes, like ceramic figurines. Once they are securely wrapped, store them in labeled plastic bins. Strings of lights often get tangled during storage. Avoid this frustrating dilemma by labeling each string of lights. Note the length of each and where you used it. Purchase a holiday lights storage reel, or wrap each string of lights around a clean, empty cylindrical can to prevent tangling. Place reels or cylinders in a storage case or bin. Sort ribbon, wrapping paper and small, easily-misplaced items.Stack ribbons in a plastic bin, or use a box made for storing ribbon. Sort strings of beads and other small items into small plastic bags. Group similar items in clear, plastic shoe boxes. Label each box for easy identificationto save time and frustration next year. Store faux firgarlands in a large, clear plastic bin, winding the garland neatly inside. Faux fir or pine wreaths can be stored in a large hat box or plastic bin. Hard plastic cases designed specifically for storing wreaths are also available. Wrap candles in cellophane. This will prevent them from melting onto each other in warmer temperatures. Don’t wrap candles with anything that will transfer unwanted colors or melt onto them when the temperature climbs. As you sort decorations and prepare them for storage, examine each piece. Toss items that are chipped, broken or faded. Examine strings of lights for possible fraying or broken bulbs.Use plastic storage bins that seal tightly, to protect decorations from moisture and insects. Once everything is prepared, it’s time to store your decorations. Make decorating next year simple by creating a designated space in your garage for your seasonal decorations.The thought of finding room to store your seven-foot tall artificial tree might seem laughable, if your garage is already packed with items. However, most garages have a wealth of unused space that is perfect for storing seasonal items. Just look up. If you have a high garage ceiling, you likely have lots of additional storage space. 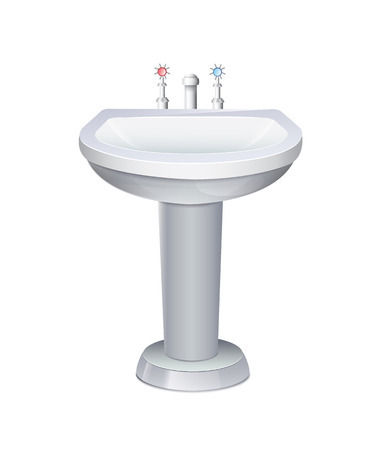 You might regard this space as unusable. Consider three ways your overhead space can be used to store holiday decorations and other seldom-used items. Have an overhead platform installed. What was once dead space now becomes functional storage. Access the overhead storage area with a step ladder to store stackable plastic bins, your artificial tree and other items.The depth of stacked items should be no more than 32”. If the space is too deep, it becomes difficult to see what you have on hand. Have a pulley-based storage platform installed. The one disadvantage of a stationary overhead platform is that it requires you to tote items up and down a ladder. 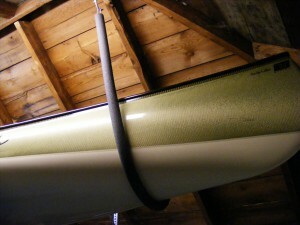 A pulley-based platform eliminates the need for a ladder. Use the crank to lower the storage platform. Load it up. Then crank the platform back up to the ceiling. When you’re ready to retrieve your seasonal decorations, simply lower the platform again. 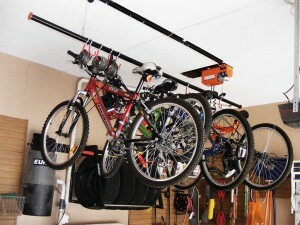 Install a ceiling-mounted garage hoist or custom sling. These hoists or slings are typically used to store kayaks or canoes overhead in the garage. However, they can also be used to overhead. Another option is to install hooks overhead from which the tree can hang. If you have adequate shelving along the perimeter of your garage for storing most of your seasonal items, a hoist or sling can be a simple solution for storing your tree. Decorating your home for holidays should be an enjoyable experience for the entire family. Invest in containers suitable for storing your ornaments, wreaths, holiday lights and other fragile decorations. 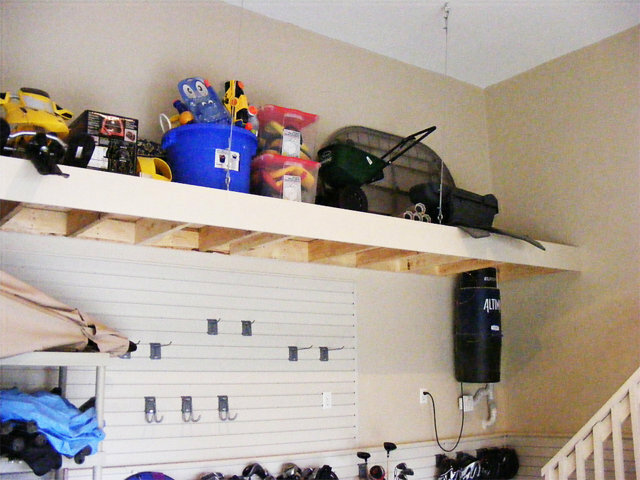 Create a designated storage space for your seasonal items overhead in your garage. Have overhead platforms installed by a garage organization professional who will ensure that the platform is installed safely and fully capable of bearing the manufacturer recommended load.